All devout Christians, these three Marines see Christmas as more than the day to honor the birth of Christ, the man they believe to be the son of God. It also reminds them that their savior’s life and suffering should guide their lives year-round. Blinded, slumped next to his crumpled chopper at the foot of Iraq’s Najaf cemetery, Stephen “Slade” Mount cupped his gunshot face to keep it from oozing into the street. He knew he’d never pilot a Huey again. 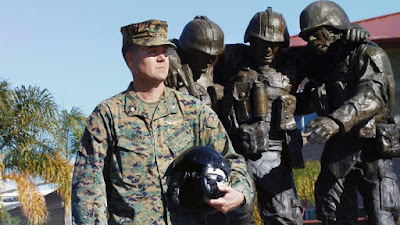 But he never could’ve predicted on that brutal day in 2004 that he’d recover sight in one eye, carve out a long career in the Marine Corps and come to think — in a strange but comforting way — of his terrible wound as a kind of gift. 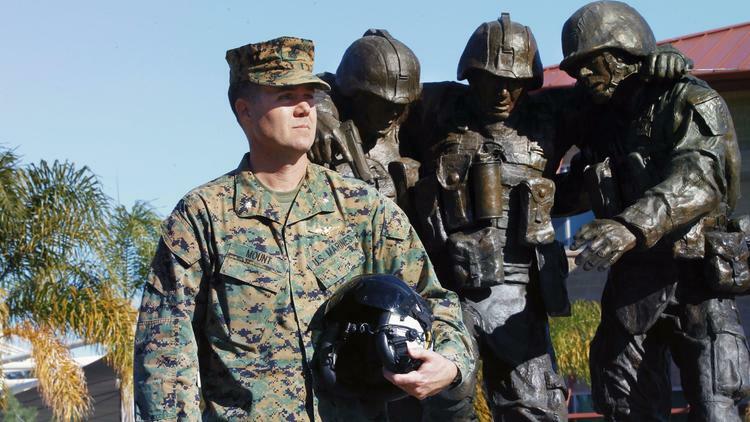 “I actually became a better Marine officer,” the Southern California native said.